That pic doesn't do the colour justice... Pics when the real deal arrives. Only guitar I've regretted selling was a Yamaha SG 1300ts, had an evil Floyd rose style trem that I had no use for but what a guitar, so this is its replacement. Had quite a few cheapish guitars which I have been selling in order to fund a couple of selected pieces.. My Gibson SG and this. 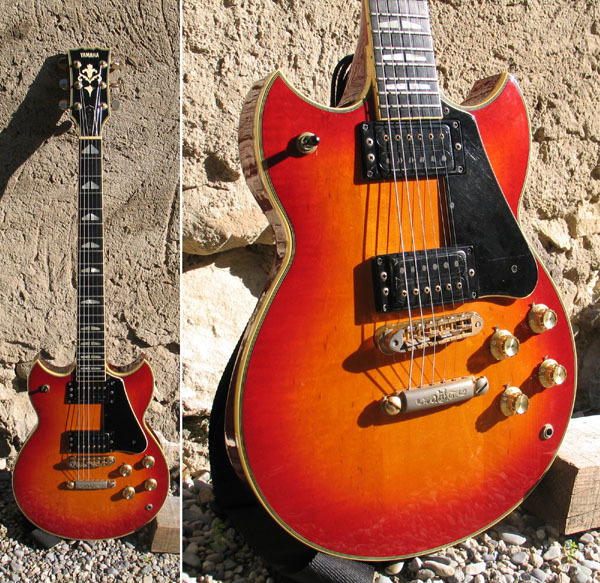 Sold a total of 11 guitars and half finished projects to fund these two. Always liked those. Matsumoku, isn't it? I seem to remember that the SG200 was used to represent Japanese guitars ditching their cheapo stigma in a History of the Electric Guitar book I had. That looks like a 500 or possibly a 1000s, the 200's were unbound quite basic looking guitars... I think Stewart had one. 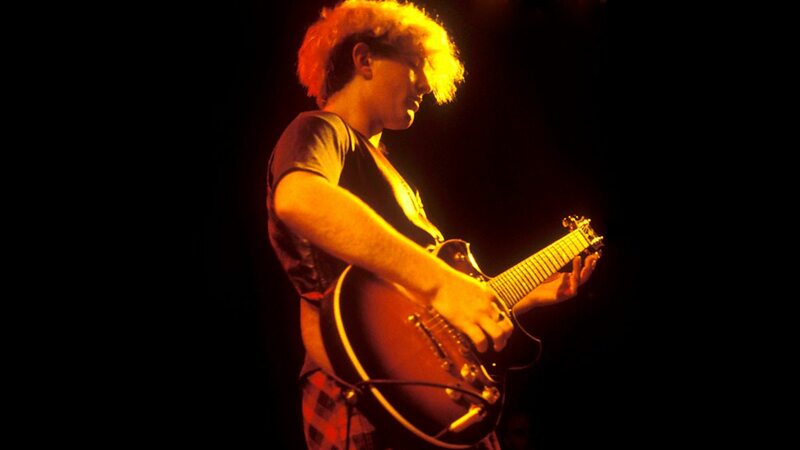 Nice, now you'll be able to (nearly) pretend you're John McGeoch. Original case too, should be rather pleased with it. These were actually the guitar I stumbled upon without the influence of anyone famous... Went into Glasgow (the year of our lord 1993) to buy a Gibson SG quickly realised I had nowhere near the money for one and Victor Morris had the aforementioned SG 1300ts and I've liked them ever since. They command quite a price on teh ebay so I've been waiting for the right one at the right price. I've got an SG200 like the one in that picture. The 800 looks much more fancy Dan though, especially in that blue. Congrats. I used to have one of these (1000 version I think) lovely guitars. I'd love to get one again at some point. Great buy. That was a typo sorry; it was a 2000 I posted/read about way back when, it and the 1500 were the top range models with the bridge mounted in a brass sustain block. The other guitarist in our college band sold his Gibson Les Paul to buy a Yamaha SG2000. He reckoned it was the better guitar; I think Carlos Santana was endorsing it (1975/6). Need to check the serial number on mine, was advertised as 1978 but I reckon it'll be more like 80 / 81. McGeoch played an SG1000, apparently he preferred them to the SG2000's. There's a guy on OSG who actually has his guitar. Parcelforce 24 my arse... Or is the 24 not a reference to the hours it'll take? Nice score and great colour. Still up there as one of the greatest guitars imo. Same with the old Ibanez Artist. You don't see many MIJ 800's, seems to be all 200's and 1000's. No longer have any of mine, but I do have those pickups fitted in my old Flying V.